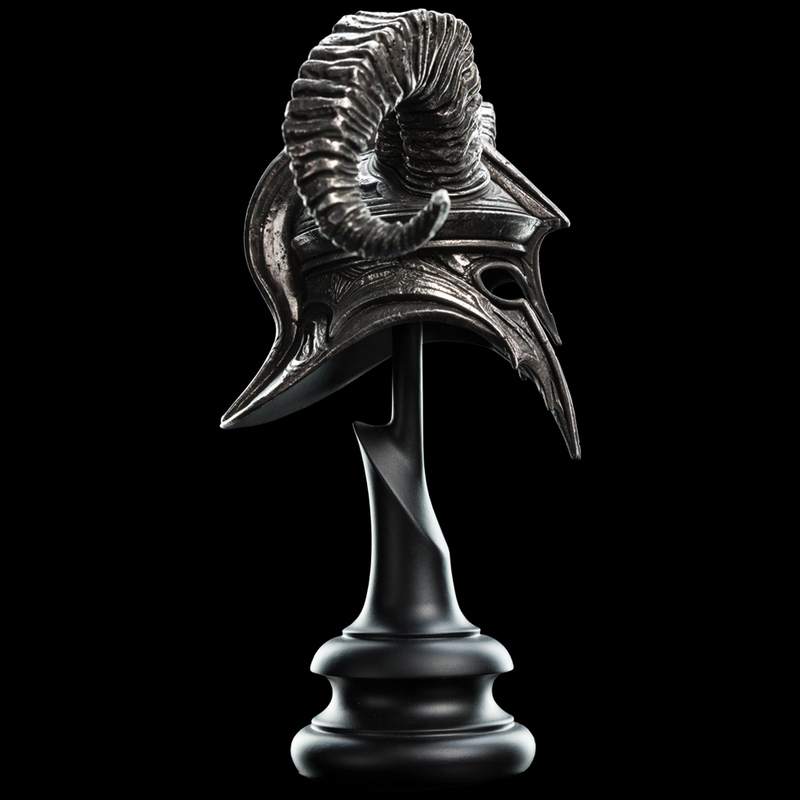 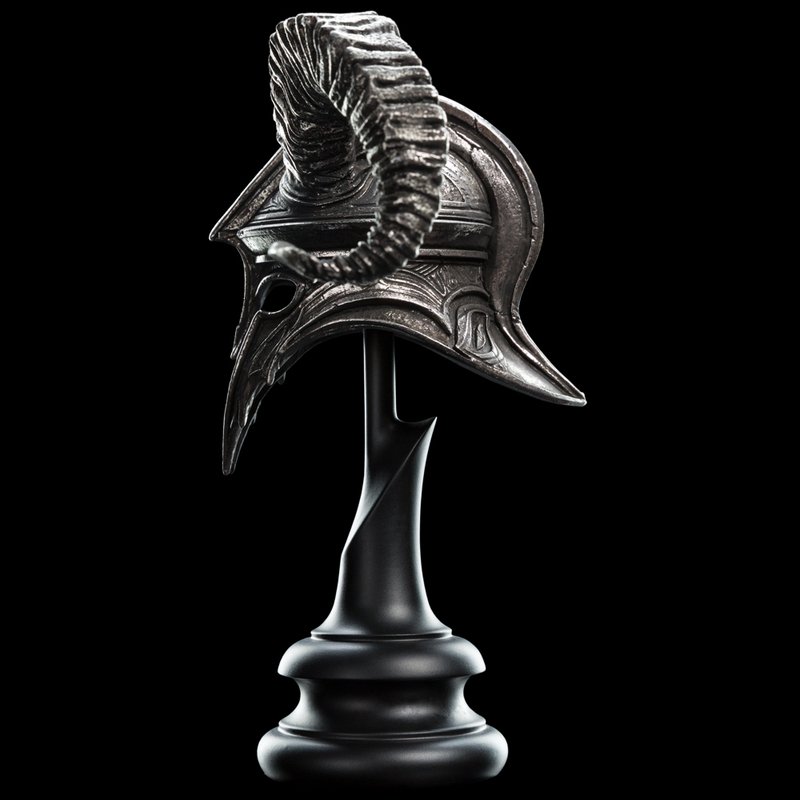 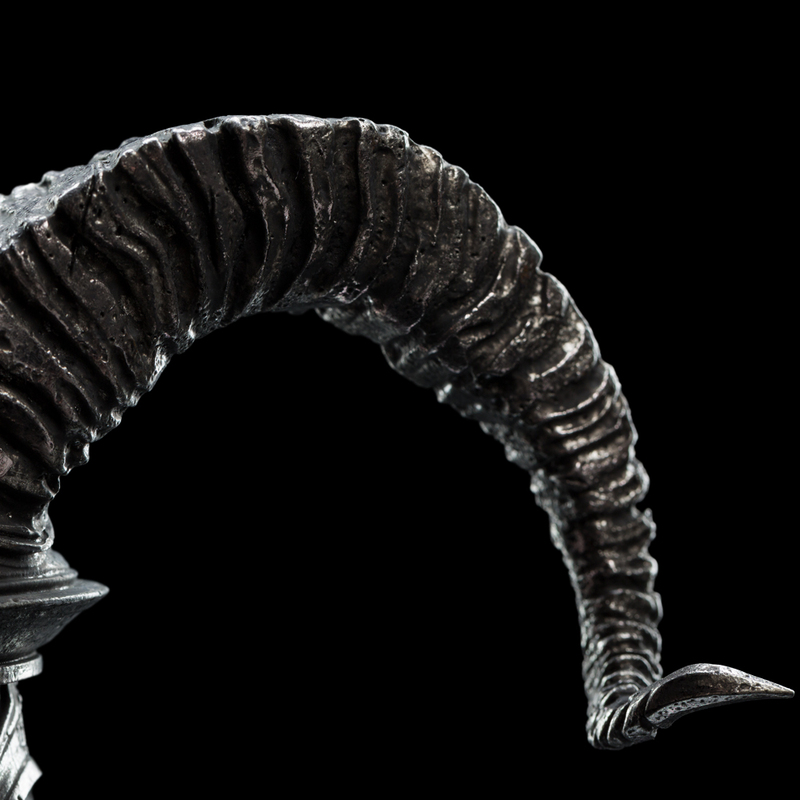 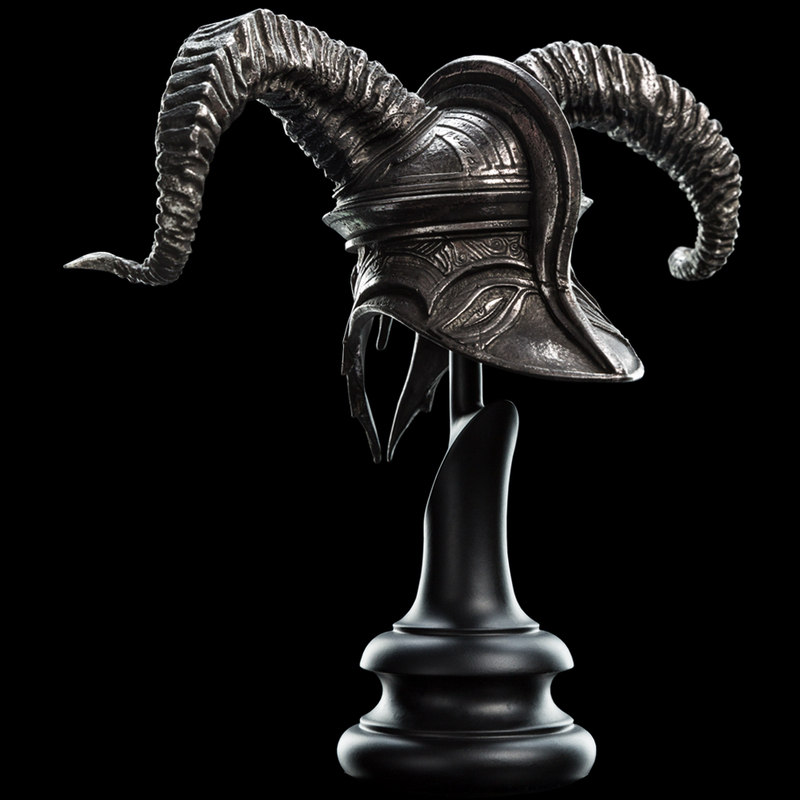 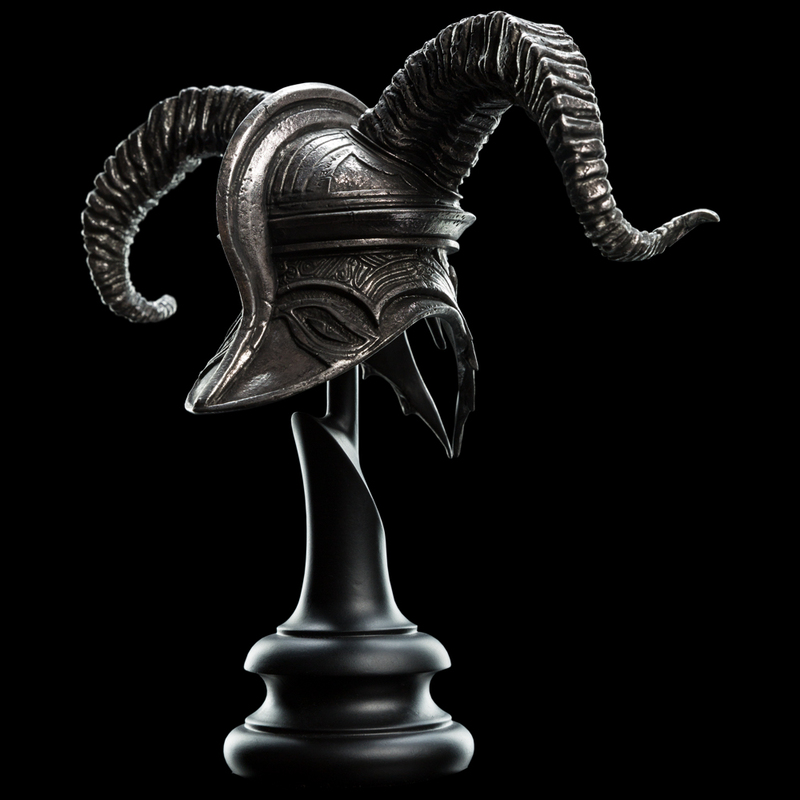 Working with original designer Daniel Falconer, 3D artist Mauro Santini has captured this fearsome horned Helm using digital software. 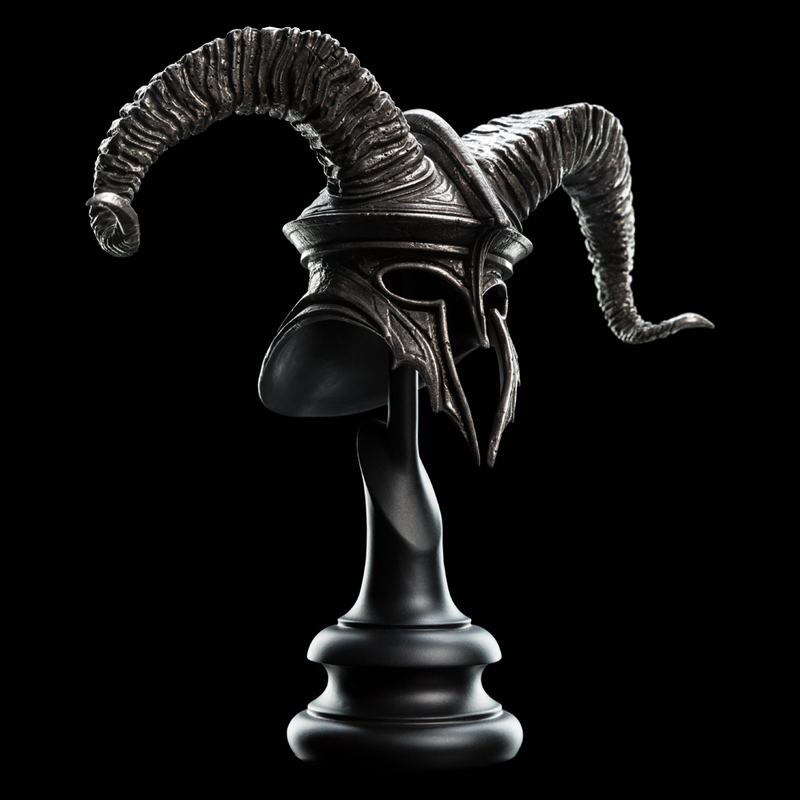 Though the Wraiths had previously been portrayed as pale kings in 'Ring vision,' the film's director wanted them to assume new forms, as if spiritually armoured for battle. 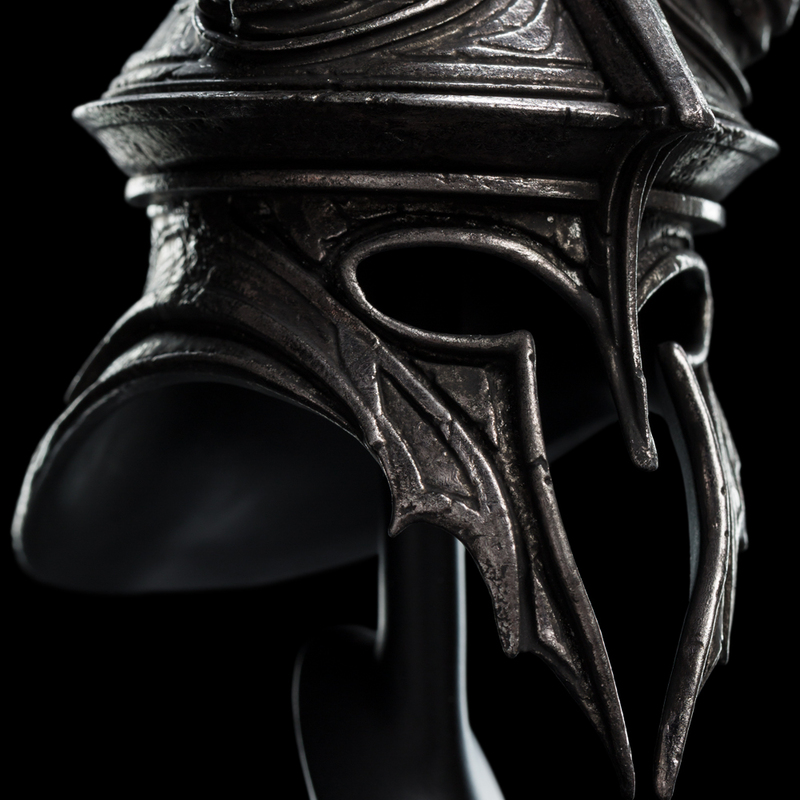 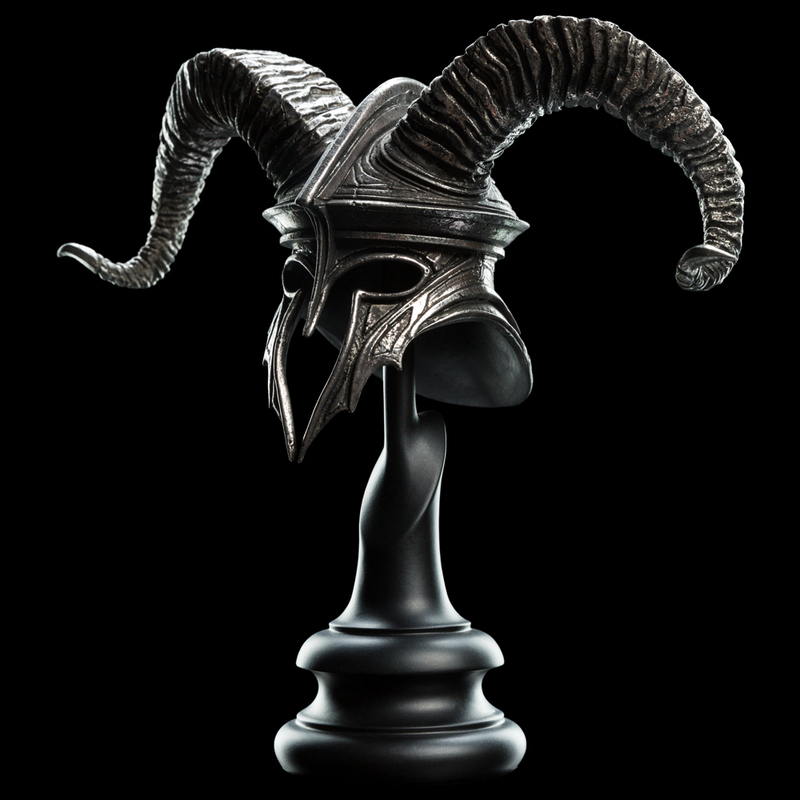 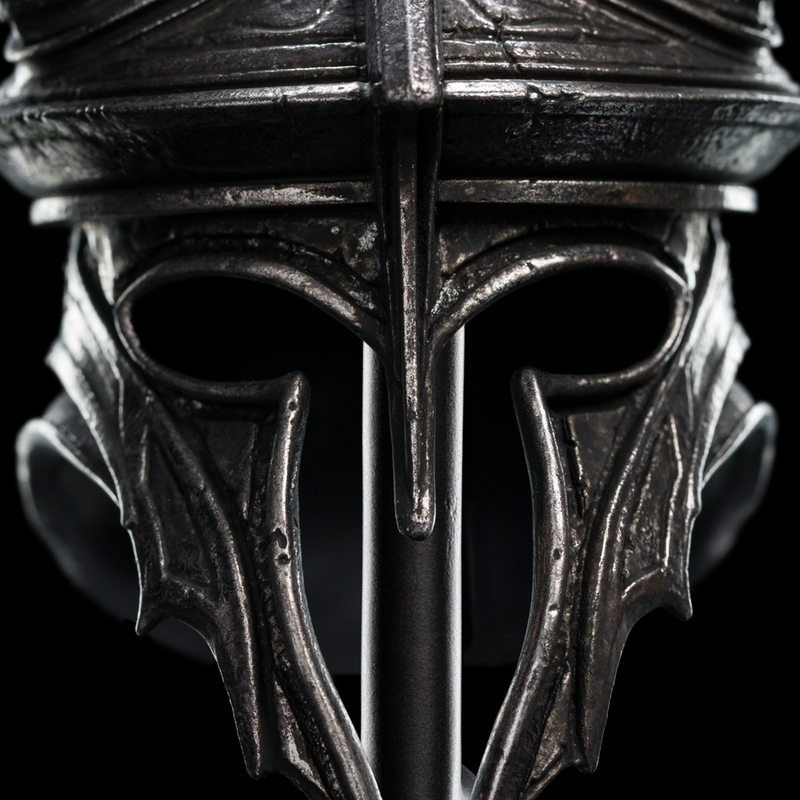 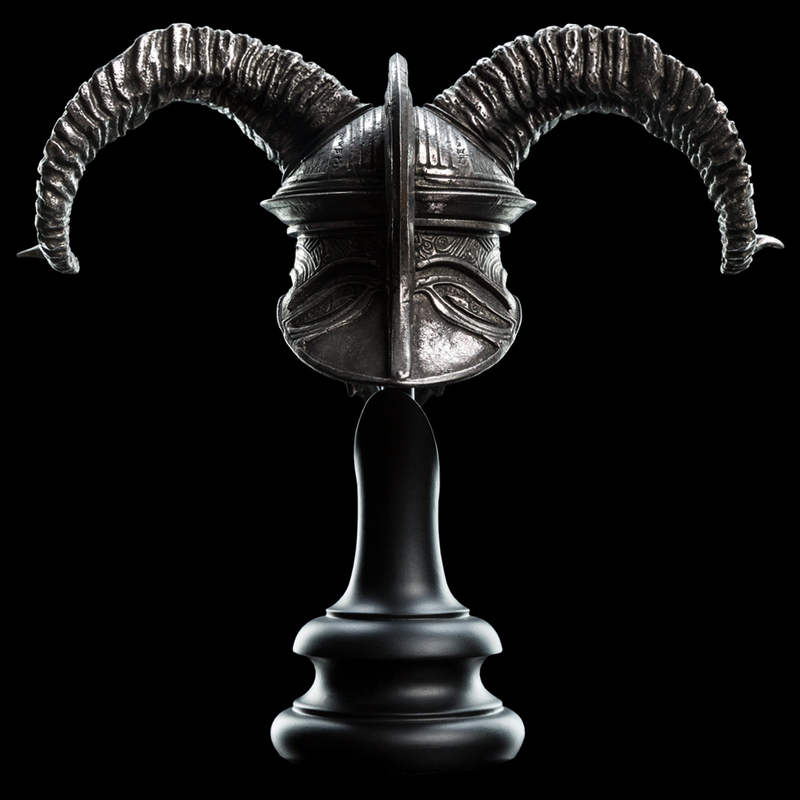 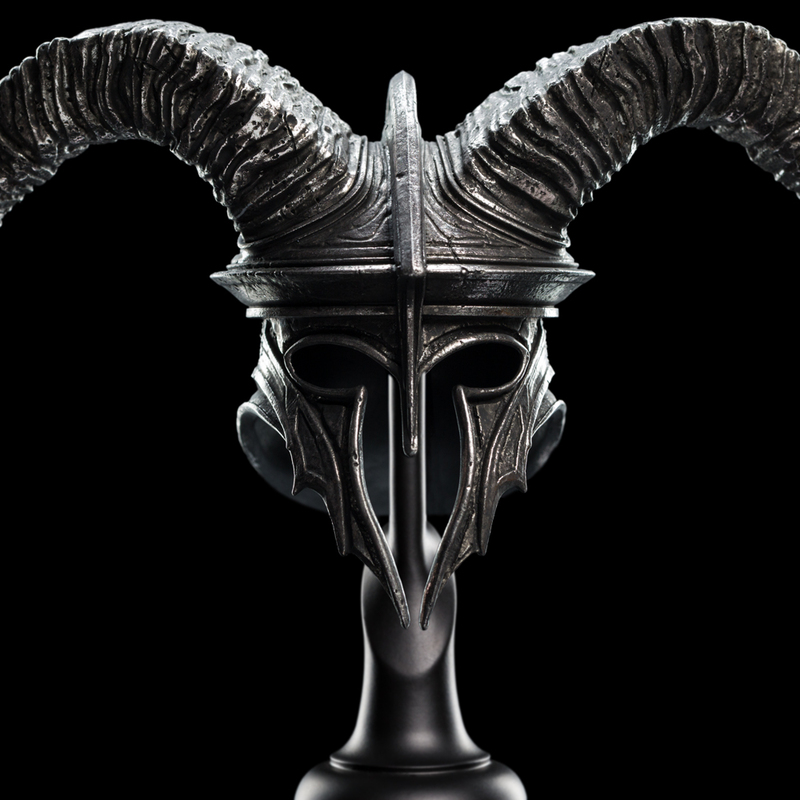 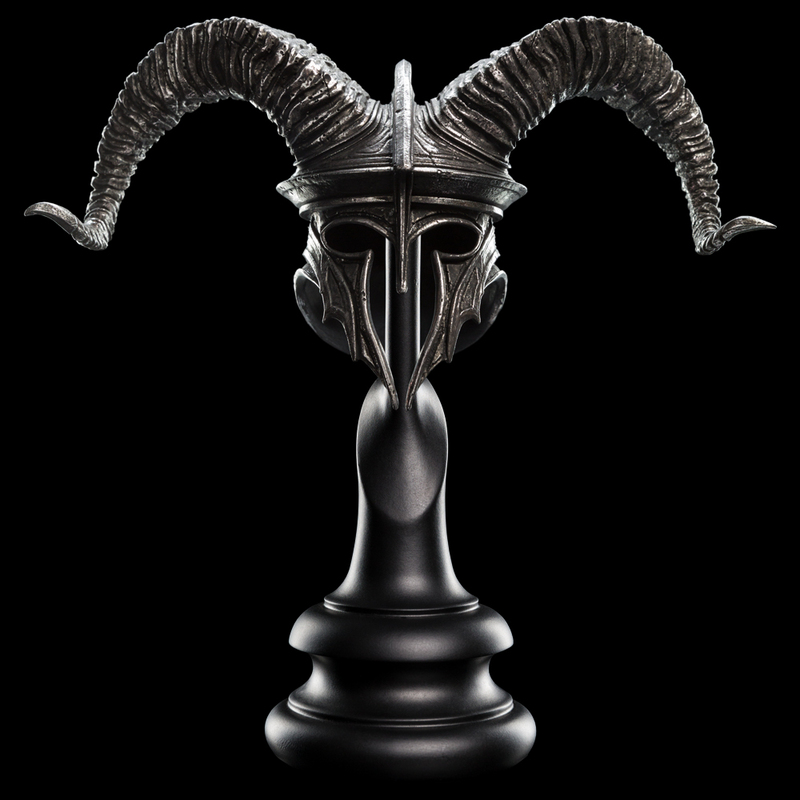 The helmet (of Khamûl) would be much more richly engraved than the standard Easterling soldier.